The 2012 American Taxpayer Relief Act (“ATRA”) may have reduced the need for life insurance in estate tax planning, but it has opened numerous opportunities to utilize life insurance as an income tax planning tool. A big concern for taxpayers who may want to sell their home, stocks, rental property or business is the huge jump in capital gains taxes. The top federal rate bracket has moved from 15% to 20%, but when you add in the combined effect of the 3.8% Net Investment Income (“Obamacare”) Surtax, the itemized deduction phaseout or alternative minimum tax (“AMT”) and applicable state income tax, the top rate can approach 30%! Your clients and prospects are now way more motivated to reduce capital gains taxes than ever! One great solution, which must be properly fit to the prospect, is what I call “The Capital Gains Bypass Trust” or the “Tax-Exempt Trust”. It’s technical name is a Charitable Remainder Trust (or “CRT”), but I’d never use that when first introducing the concept. Just start by explaining that an appreciated asset can be sold, federal and state capital gains tax-free and 100% reinvested to generate an income stream for the life of the prospect and his or her spouse. We have a number of educational programs on the CRT, including discussions about when to use it and how to present and sell it that are way beyond this article. See the links below. For now, the key thing for you to know is that good CRT planning often includes the purchase of a sizeable life insurance policy (to replace tax-free to the prospect’s family the remainder of the CRT that goes to the charity after both the prospect and his or her spouse die). This insurance sale is way easier than normal, not only because of the prospect’s strong desire to avoid capital gains taxes, but because with good planning the policy cost may be net zero (the CRT not only avoids capital gains tax, it generates a charitable income tax deduction so the insurance may effectively be paid for out of the other income taxes saved!). Life insurance may also be a viable planning solution for prospects facing higher taxes on “ordinary” income under ATRA due to large amounts of interest income, or capital gains tax on undistributed transactions within mutual funds. Using a life insurance policy’s cash value buildup as an “investment alternative” can shelter income and growth from immediate taxation, including the Obamacare 3.8% Surtax. This may involve front-end loading a policy and later using tax-free “zero cost” loans to access moneys (which must be done carefully to avoid unwanted Modified Endowment Contract treatment). Plus, life insurance can be involved in creating a sizable income tax deduction to utilize against high wage, rental property or business income. With proper entity planning, a Defined Benefit Pension Plan can be established to help sock away big amounts that are tax deductible. By adding life insurance as a plan benefit, the deduction to the plan can be doubled! Imagine how much easier it is to sell a large insurance premium when you can show a prospect that “Uncle Sam is helping you pay for it!” (For more information on Defined Benefit Pension Plans, click here.) If this Pension Plan alternative isn’t a fit or is already maxed out, then the high cash value type policy described above may be a non-deductible retirement plan substitute. The bottom line is this. When you look more closely at solving a prospect’s problems – – like here with reducing his or her income taxes – – you’ll sell more and larger life insurance policies because you will be perceived as a problem solver, instead of a “product pusher”! Philip J. Kavesh, as an estate planning attorney working closely with insurance and financial advisors for over 34 years, has assisted in closing numerous life insurance cases involving millions of premium. Over the years, Phil has trained numerous attorneys and financial advisors about how to develop a successful referral relationship that actually works! For more information about how Phil can assist you in developing a successful multidisciplinary practice, click here. 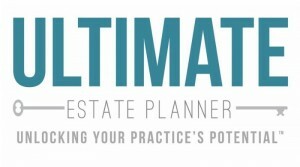 If you would like more information or have a question for him, he can be reached at phil@ultimateestateplanner.com or by phone at 1-866-754-6477.